Throughout the 30+ years that Celia has been a stylist, she says that she has never wanted to do anything else. For Celia, working with hair is the ultimate creative outlet: she enjoys getting to be an artist without worrying that she’ll be the starving variety! The gratitude she feels for being able to get paid to do what she loves every day, shines through in every hair that she cuts, and every extension she adds. While Celia loves to cut and style in every way imaginable, she is most in her element with extensions. Her passion for giving people whatever style they want, especially if they think a particular style or cut is out of their reach, is one of the many reasons why people always leave her chair changed for the better. Her most recent challenge? One of her wavy-haired 13-year-old twins wanted bangs, something that other stylists immediately would have rejected. She made it work, by doing a Brazilian blowout on just the bangs. And guess what? They look phenomenal. 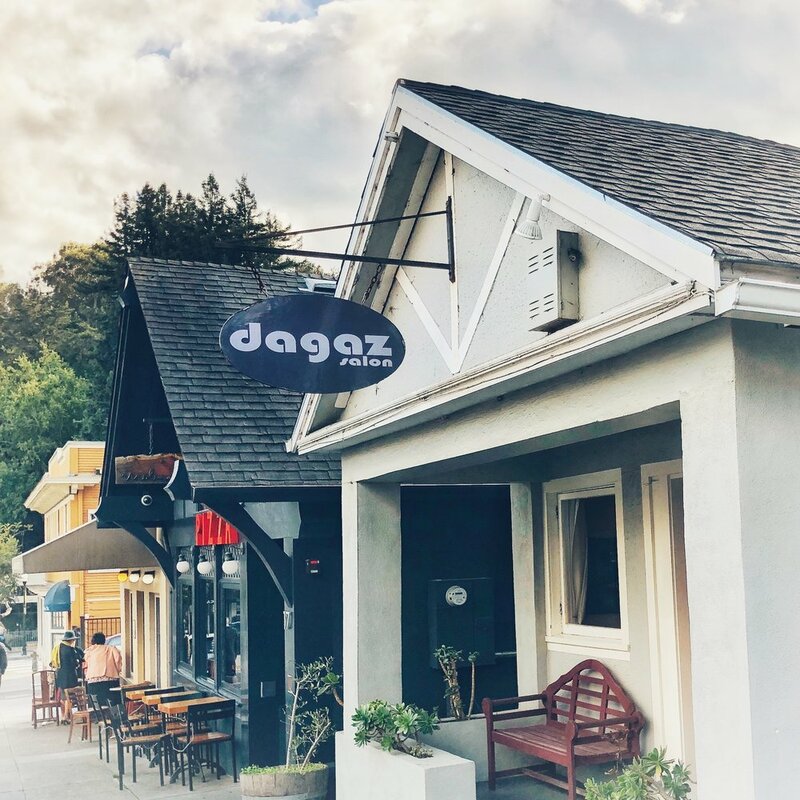 Celia has truly found a home at Dagaz, where she has spent the last 7 years with a group of coworkers whom she loves, styling the best clients in the world. There’s no way she’s going anywhere any time soon- unless she can take everyone with her when she goes! Give me a call, especially if you need extensions! Celia has the unique talent of being able to look at you and know what style is going to compliment you. — Kathleen, Mill Valley CA. — Bee L, Mill Valley CA. I wanted something a little different, and Celia gave that to me-but within my comfort zone. — Dorris A, Tiburon CA.